My interest in climbing stemmed from hill walking initially, beginning with ridge scrambling mainly in Snowdonia, leading on to low grade mountaineering routes there. Always looking for new options for the next outing, I discovered Dan Bailey’s book the Ridges of England, Wales and Ireland, and in that - the fantastic looking Commando Ridge at Bosigran. To help make the most out of the quickly planned trip to Cornwall, I bought a copy of Pat Littlejohn’s 2002 edition of South West Climbs, now updated with a new two volume 2014 edition. The granite climbing at Bosigran was a revelation to me and the ridge as well as routes on the main face were my first sea cliff climbs. 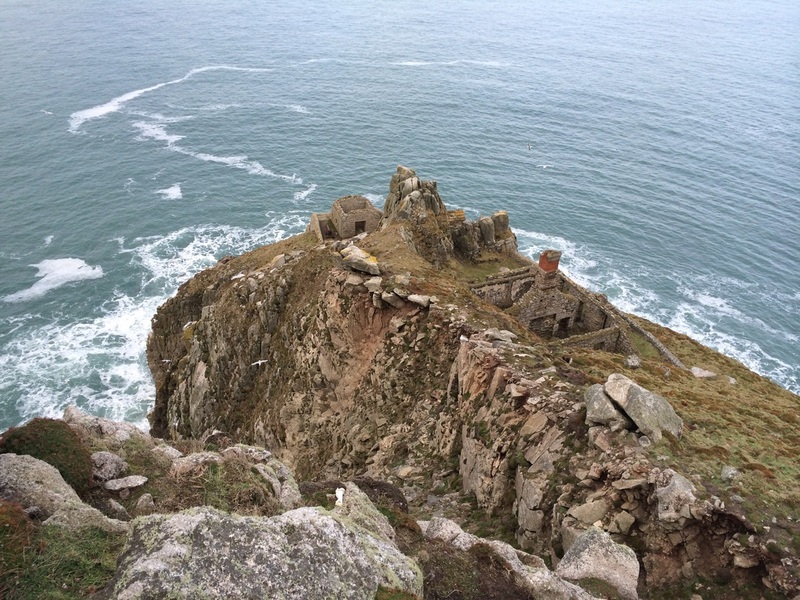 Bowled over by such a great weekend, I pored over the rest of the guide and homed in on the Devil’s Slide on Lundy. 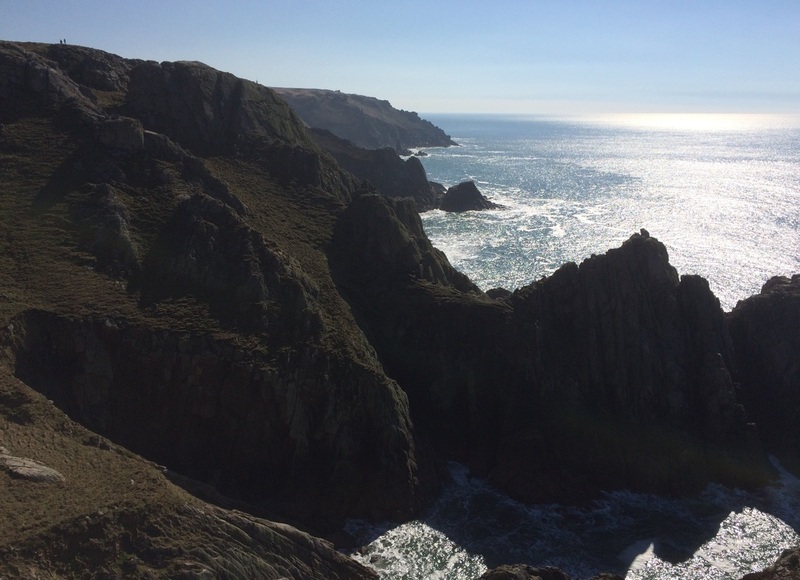 Reading up about the Island and the climbing there, it was clear that while there is much to do throughout the year, many of the climbs are affected by nesting restrictions in Spring and early Summer, so that the main climbing season begins in August. Reasoning it would be a lot busier then, I thought it could be a good option to go before the restrictions start, with the added bonus that this coincides with the helicopter transfer period - before the MS Oldenburg takes over from the end of March. It's a gamble with the weather that early in the year but it seemed a risk worth taking. 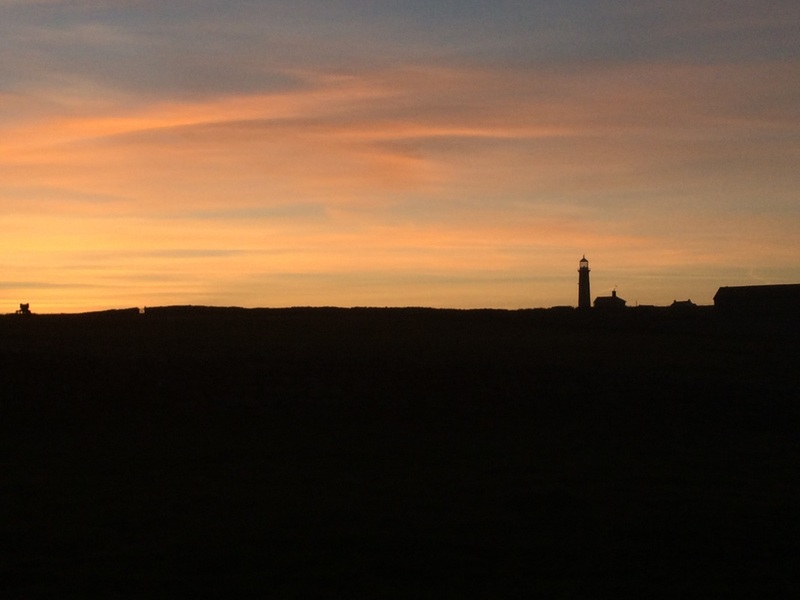 All the properties on the Island are owned by the Landmark Trust and we booked Stoneycroft, next to the Old Light and a short walk over a field to the pub. We were rewarded with fantastic weather from the beginning, climbing on the Friday evening at the Knight Templar Rocks after the arrival of our bags. The next day after a warm up climb, we went to the Devil’s Slide for one of my most memorable climbing experiences – not least because it was there I broke into the heady grade of HS. 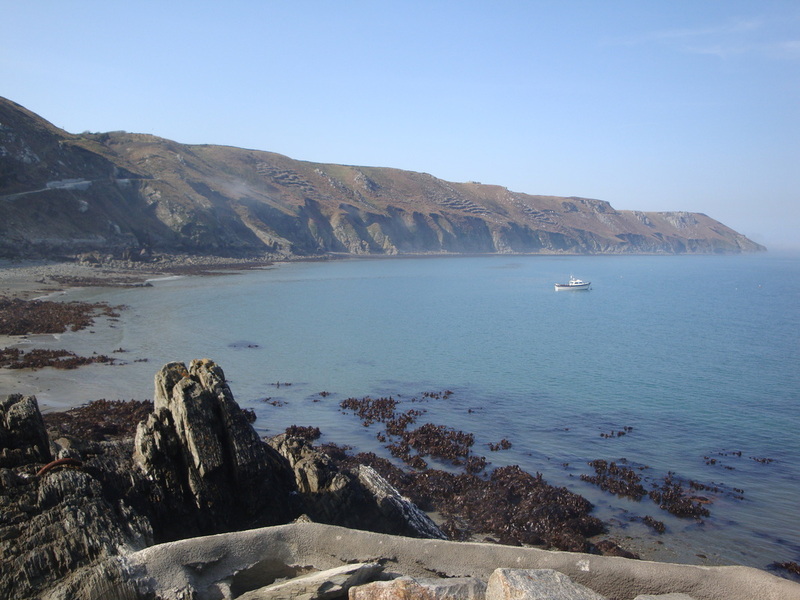 We celebrated in the pub, where it was confirmed we were the first people to climb the Slide that year, and the next day we enjoyed some relaxed climbing at the North end of the island, as well as a look around the cliffs in amongst the climbing. Fog descended on Sunday night and the next day the helicopter could not fly....so after the awkward ‘phone calls to work were out of the way, we enjoyed an extra night on the Island - to ultimately be transferred by boat the day after, when continued fog threatened to extend our stay further. This was no problem for us, but it was for the people waiting to get on Lundy. Speaking to other visitors – many of whom go back again and again at the same time - it seems that delayed departures in both directions were not unheard of at this time of year, something worth bearing in mind when you plan your trip. A few years went by and I talked so much about the trip to Harry that we decided to go for it with the same timing as before. When the day came, we made our way to the heliport at Hartland Point and watched a solar eclipse while we waited for take off. It's worth noting that early arrival for check in leads to getting allocated one of the first flights out of the heliport and therefore more time on the Island on the first day. 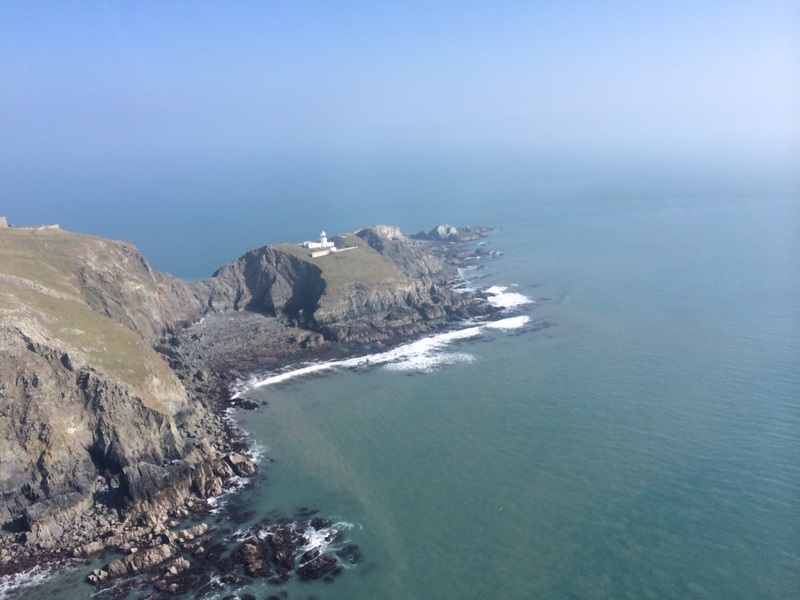 The flight is very short but extremely memorable and as an overall part of the weekend it felt like good value - at £112 return in 2016, compared with £65 for the boat - with spectacular views of the South Light as well as impressive currents in the Bristol Channel. After landing, we used the time before our bags arrived to go to the shop to stock up on food for the weekend. 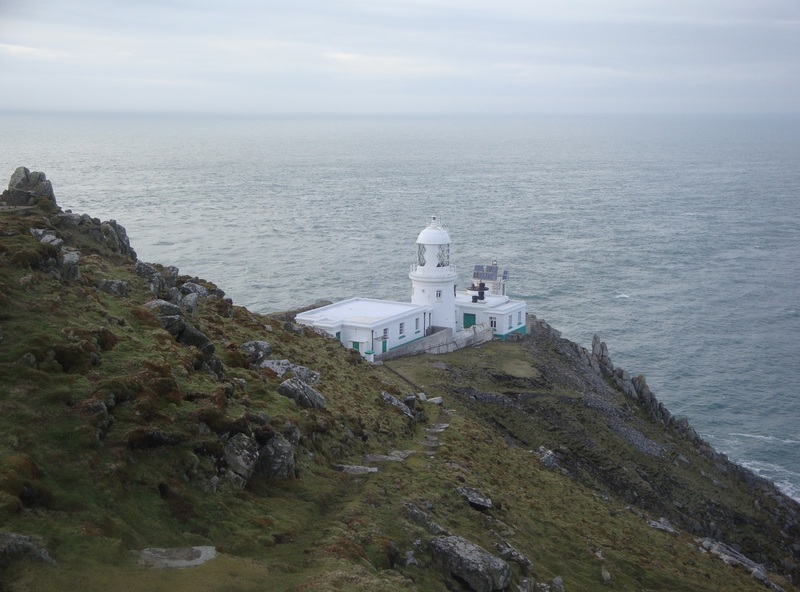 This time we stayed in Old Light Lower – great accommodation – and by the time we'd had a look around and been to the top of the lighthouse, our bags containing the all important climbing gear had arrived. 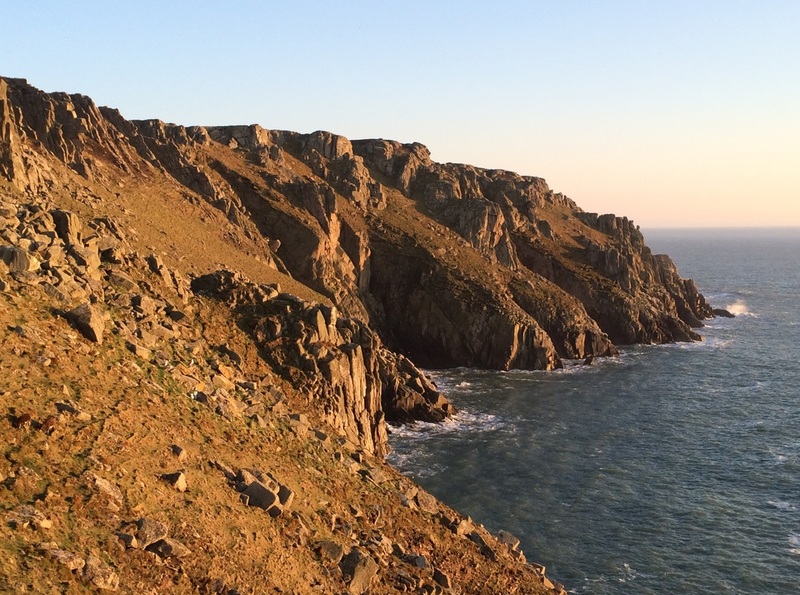 To make the most of our climbing time, we went straight for the non-tidal venue of the Knight Templar Rocks, navigating around them with the benefit of the update for the outcrops that supplements the information in Paul Harrison’s excellent climbing guide to Lundy. We climbed Bideford Ridge VD, Scafoid VS 4c and Saladin VS 4c, finding the latter two climbs quite good value and steep and sustained in places. As the light started to fade, we made the first of three trips to the Marisco Tavern; a great pub - very welcoming and with good food – that doesn’t exploit its monopoly! The next morning the weather was perfect and we warmed up on the interesting Quadratus Lumborum S 4a in the Threequarter Wall Area - on the walk in to the Devil’s Slide - an fun route worth doing. After that, with the tide receding, we headed to the Slide - descending the grassy gully to the abseil point at a boulder and then down to the large platforms at the base. 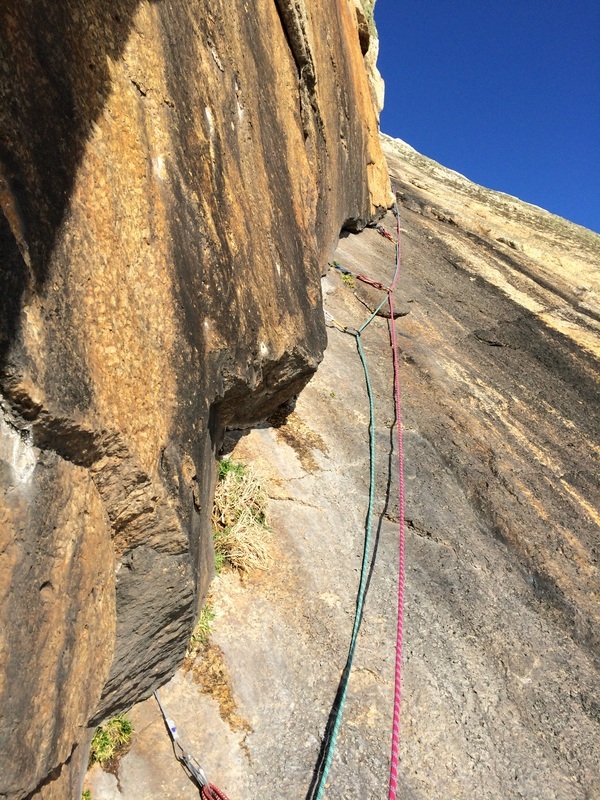 As Harry had not done it before, we climbed the Devils Slide HS 4a – as good as I remembered... take some small wires and cams – before abseiling in again to get on Albion VS 4c. We thought this was a superb climb, though I made hard work of the lead up to the stance below the crux, laying off both hands - before watching Harry pad up the crux pitch with just his left hand in the corner, having gently reminded me that just because there was now a corner crack, it was still a slab. After Albion, we thought about going back in and around the corner for the Devil’s Spine VS 4b, that looked good if green and furry, but we'd had a great day already and decided instead to walk to the top of the Island and check out the North Light before looping back past the outlying property of Tibbets (I really want to say there, but I really don’t want to walk back there from the pub) and back to the Old Light and then the Marisco Tavern – once again to be confirmed as the first to climb the Slide in the year. The next day, we set our sights on the Flying Buttress and Diamond Solitaire as the main event. Descending towards the Flying Buttress we passed the cannon installation, then dropped down to sea level on the South side for a look around, before returning to the top of the Buttress and abseiling down to platforms at its base. 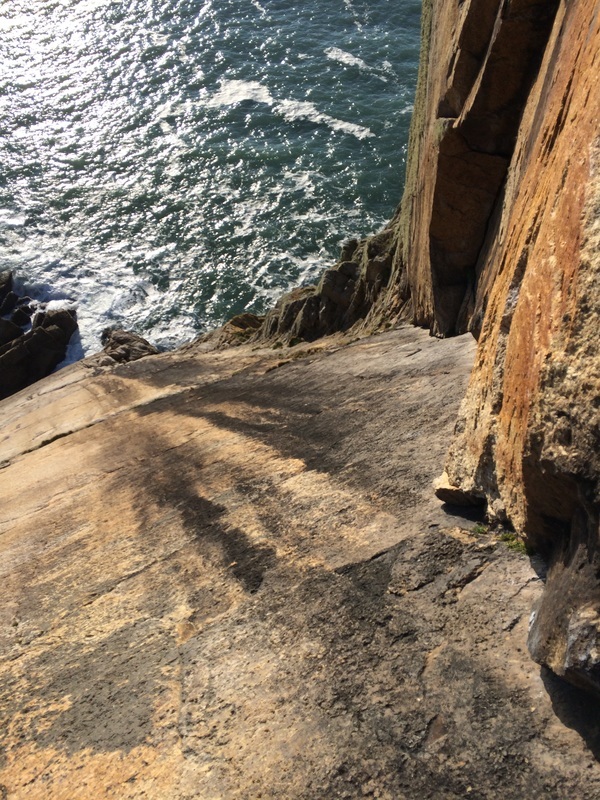 The traverse around to the base of Diamond Solitaire VS 4c, revealed a very slippery and tough looking start above the sea....so feeling a bit Sunday morningish we downgraded our aspiration to the first pitch of Horseman’s Route HS 4b and the second pitch of Diamond Solitaire. This turned out to be a great combination, with interesting climbing on the first pitch and exciting positions on the second. Scrambling back down to sea level we climbed Alouette S 4a before packing up to explore the South of the Island. 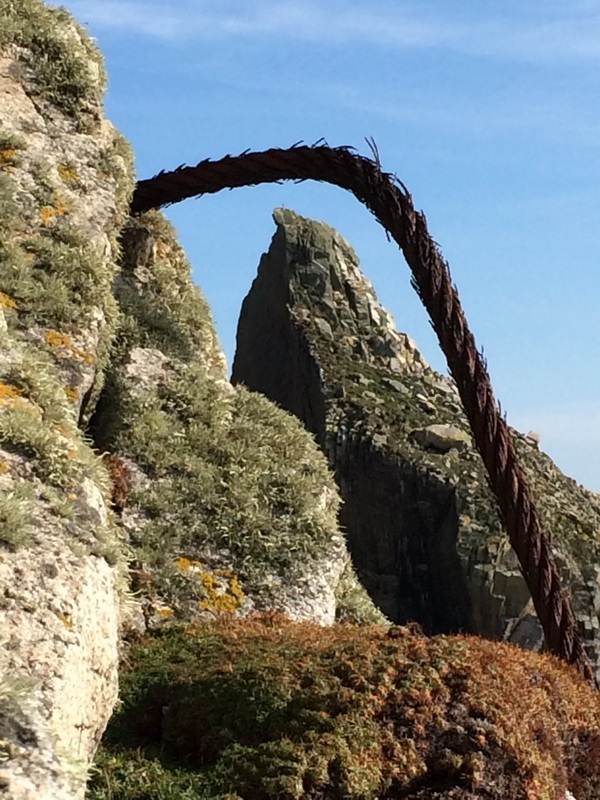 Looking at the guidebook we settled on Cable Way S 4a, an interesting sounding route on a cliff littered with old metal cables left over from the salvage of the wrecked HMS Montagu. 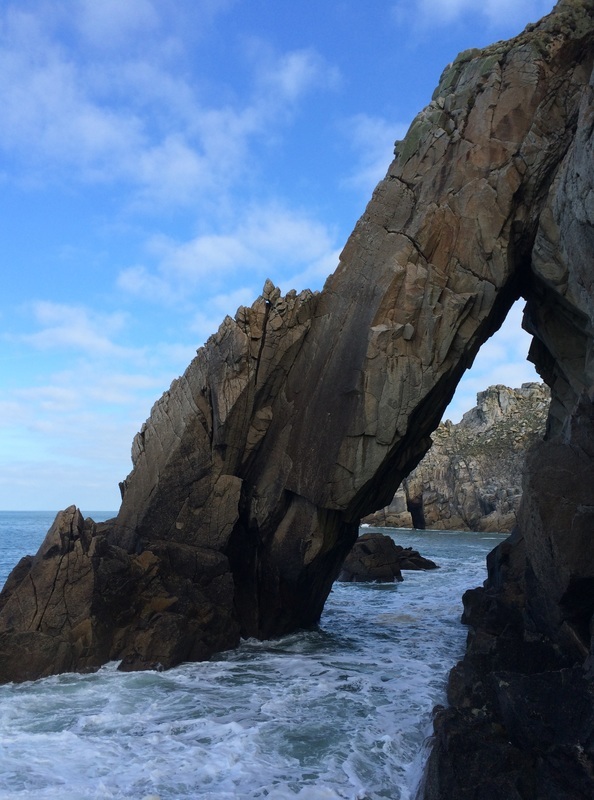 Having descended into the cove, we were soon under pressure from the incoming tide and made the guidebook description fit the rock - getting on the climb at the wrong point, having not traversed far enough around at the base. We picked up the right line later on, but it made our wind down climb feel harder work than anticipated – ultimately though, more great climbing in a great location. 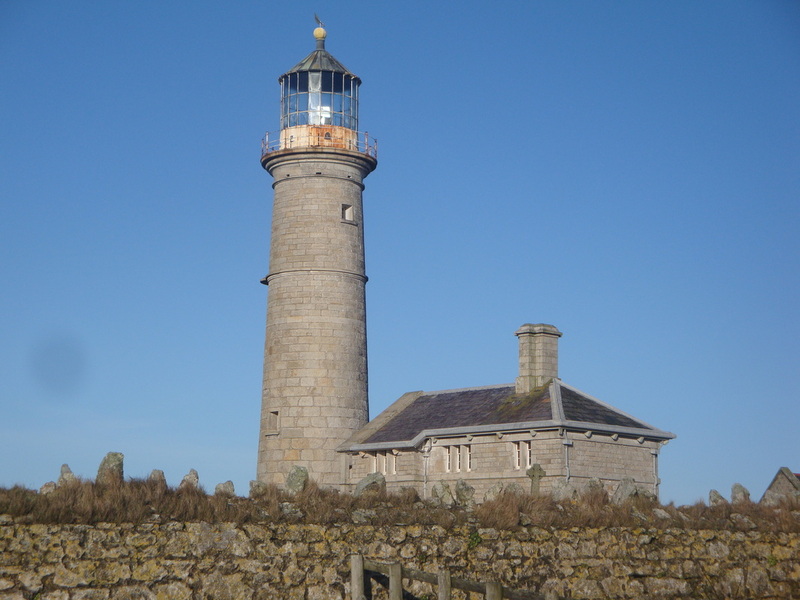 With that done, we walked to the South Light and explored the area around the landing jetty and Rat Island, before returning via the church in the half light. 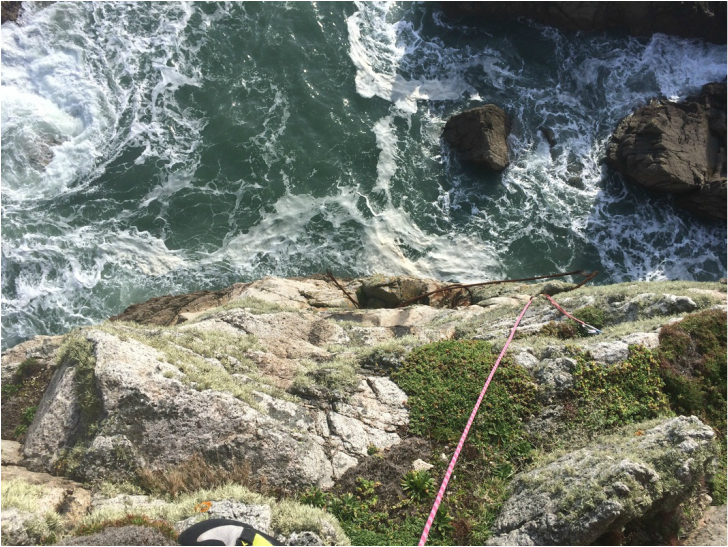 The next morning with bags packed and an early flight out, there was no option to climb, so we explored some of the Island's South coast including Shutter Rock and the Devil’s Limekiln - thinking the latter looked a pretty hostile place to climb! 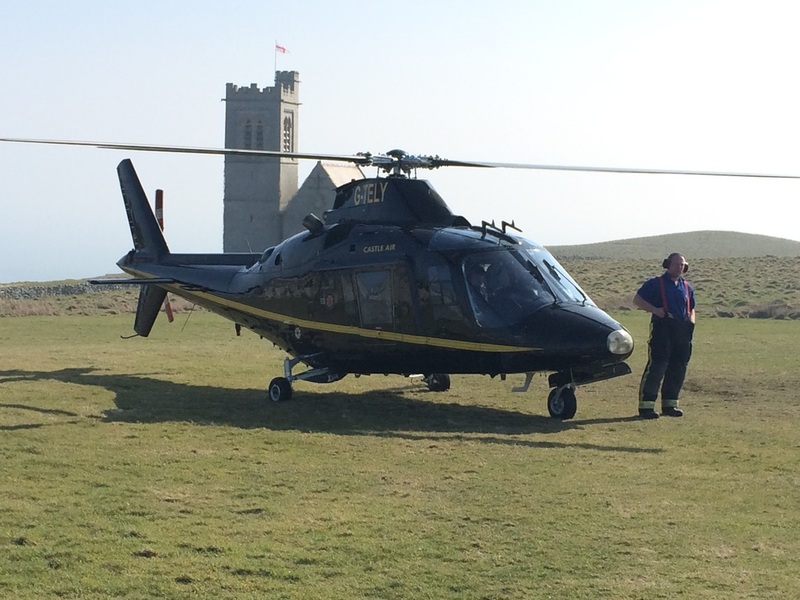 – before catching the helicopter back to Hartland Point and heading home. 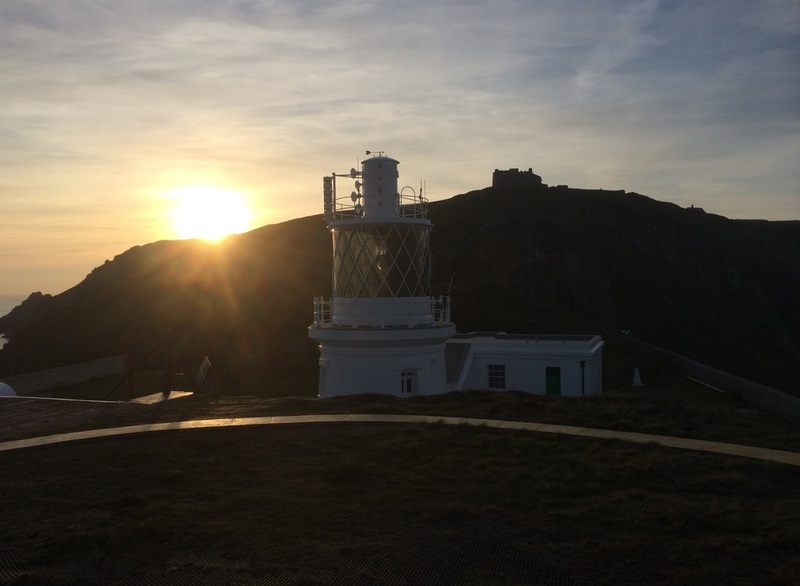 Having got away with the weather in March twice, I would thoroughly recommend taking the gamble on an early season climbing trip to Lundy. And while a long weekend doesn’t allow a huge amount of time for climbing, it’s enough to target a few routes and see much of the Island, with the added interest of a return helicopter trip. You need to check exactly when the helicopter service finishes in March and when the MS Oldenburg service starts, as the dates seem to move around by a week each year. We targeted the last accommodation dates in March that the helicopter was running in order to maximise the potential for better weather. 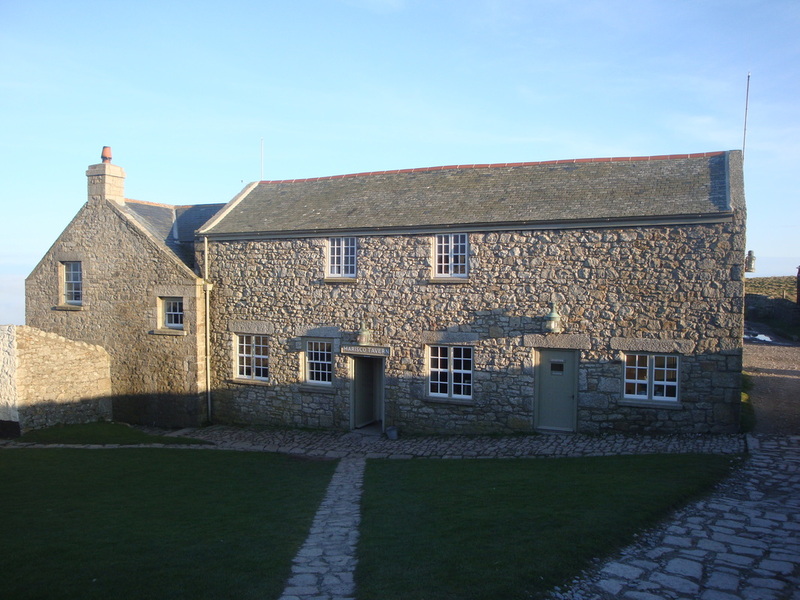 Book accommodation on the Island via the Landmark Trust. 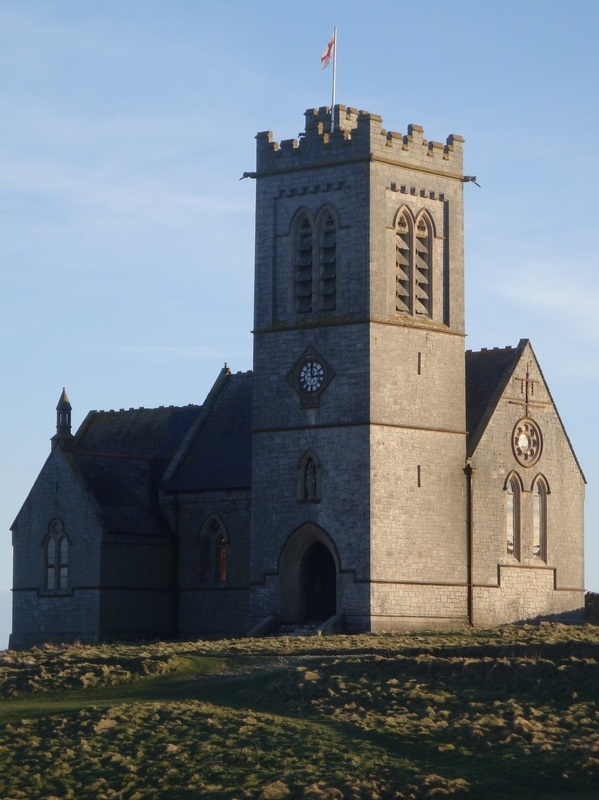 There is no camping available November through to March inclusive, so you will need to book one of the Landmark Trust’s properties. There is a great selection and it can be reasonable £pppn when split between a climbing group. The checked baggage weight limit on the helicopter is 10kg, though you can pay a £5 excess baggage charge for a further 5kg. This plus a hand baggage allowance of 5kg means it is possible to take your climbing rack, twin ropes and an abseil rope…as long as you pack light with everything else and wear a few coats on the 7 minute flight! 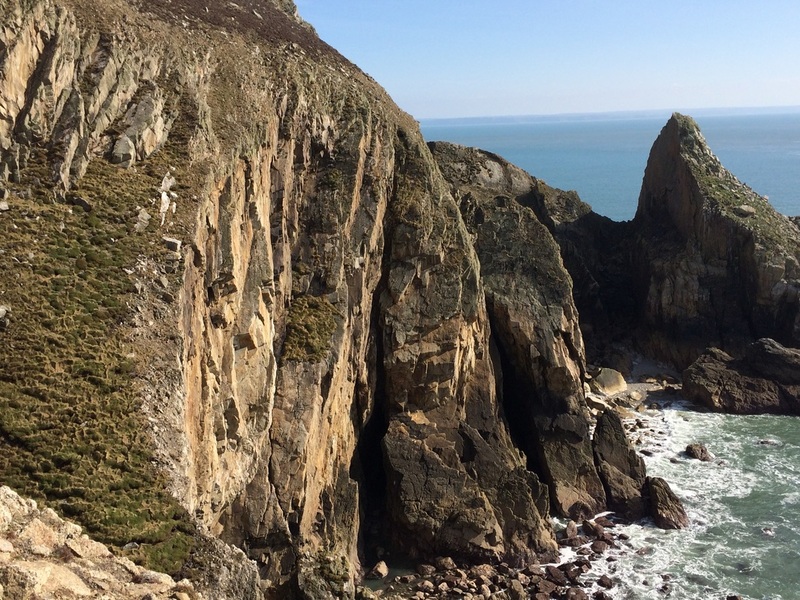 Climbing restrictions are in place on many of the cliffs from the 31st March to 31st July - and may be extended depending on the breeding season. Changes to nesting restrictions are advised by the Landmark Trust and via the BMC and UKC.....as well as on the notice board in the Marisco Tavern - which should be checked on arrival - or confirmed by talking to the resident Warden. risks and be responsible for their own actions. © VSclimber. All Rights Reserved.